Video Game Firsts - Famicom / SG-1000 | Warped Factor - Words in the Key of Geek. The Third Generation of home video gaming came with the arrival of two 8-bit consoles ("bit" refers to the speed of the microprocessor used. An 8 bit processor can access 8 bits of data in a single operation, whilst a 16 bit processor can access 16 bits of data and so on). These machines saw huge advancements in graphics and improved game play, and officially began in Japan on July 15th 1983 when the two giants who would dominate the home console market for the next decade released systems simultaneously. 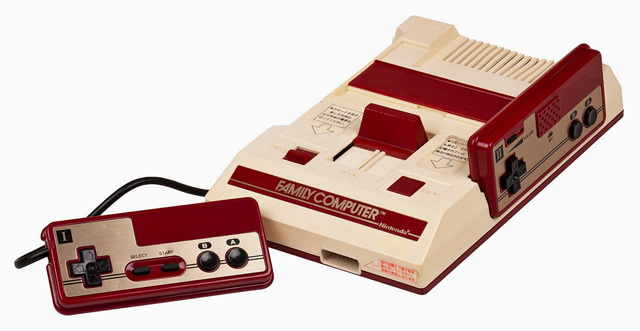 Nintendo unveiled the Family Computer (referred to in Japan in the abbreviated form "Famicom", and later known as the Nintendo Entertainment System, or NES, in the rest of the world) and Sega released the SG-1000 (or Sega Game 1000). Both were cartridge-based home video game consoles and both marked their respective companies first entry into the home video game hardware business. The SG-1000 died a rather quick death. 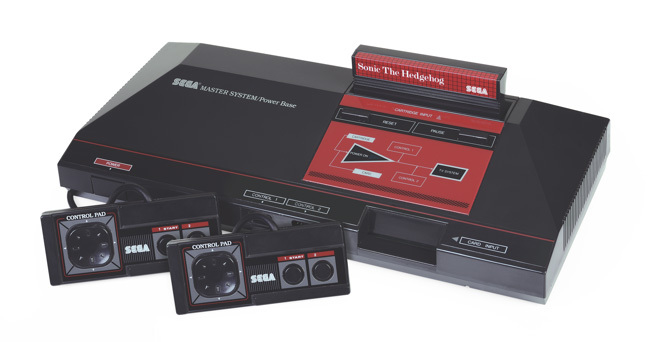 It was discontinued within 12 months when Sega released a MK II version, which was also withdrawn in under a year. 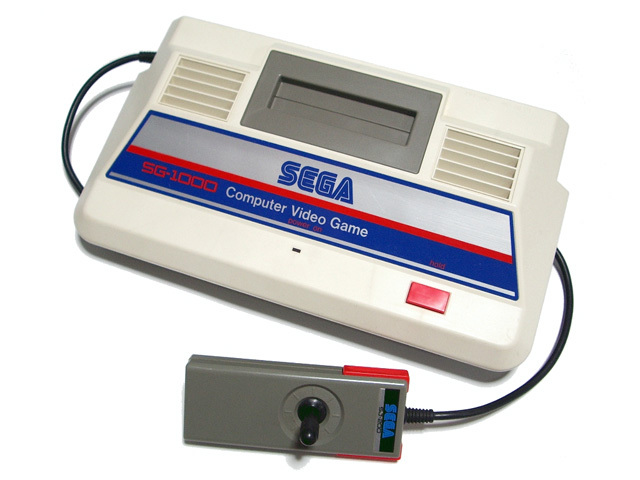 The console simply didn't capture the public's imagination in quite the same was as the Famicom did, but Sega didn't give up and MK III arrived in 1985, after a redesign this version would be known outside of Japan as the Master System. I expect many of you have heard of that? The Master System sold well, but "Nintendo Fever" was in full swing, and when the NES was eventually released in the US on October 18th 1985 it pretty much single handedly saved the video game business, which had been in a slump since 1983 caused by the over-saturation of poorly produced games for second generation platforms like the Atari 2600. Titles like Super Mario Bros. offered a lot more entertainment value than had ever been found before in a home gaming system, and consumers snapped it up. 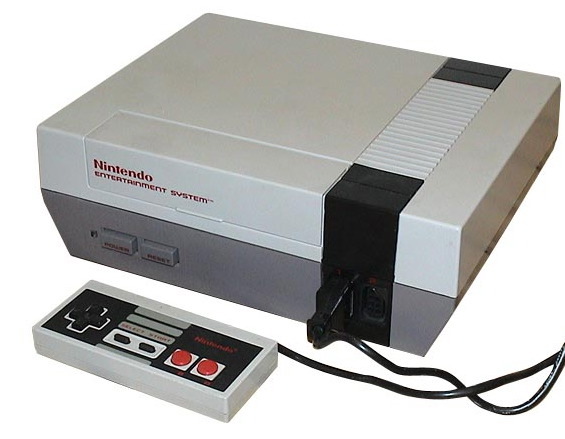 The NES was the must-have machine and Super Mario Bros. was the essential title. To date Mario's 1995 classic has sold 40.24 million copies worldwide (that figure includes the cartridges bundled with the US/European NES console releases). Detailed sprite graphics: Up to 64 or 100 sprites on screen, up to 4, 12 or 16 colors per sprite, and sprite sizes up to 8×16 or 16×16 pixels. Integer sprite zooming, allowing sprites to be doubled in size, up to 32×32 pixels. Screen resolution of up to 256×240 or 320×200 pixels. Enhanced color graphics: Up to 25 or 32 colors on screen, out of a palette of 53, 64 or 256 colors. The third generation would eventually include hand held machines like the Game Boy, and would come to an end in 1995 as the 8-bit consoles became obsolete in graphics and processing power when compared to widely available 16-bit consoles. However many consoles from this era continued to sell well for years afterwards. Take the Master System which was finally discontinued in the US in the late 1990s but has continued to sell in Brazil through to the present day, while Nintendo of Japan continued to repair Famicom systems until October 31st 2007. Maybe the old ones are the best?